Chairman Daniel Levy believes Tottenham now have a stadium that can make them one of the biggest clubs in the world. Spurs open their new £1bn stadium on Wednesday night against Crystal Palace. At 62,000, the capacity of the new ground is almost double that of White Hart Lane. “Winning is both on the pitch and off the pitch, so we are going to keep going until we get both right,” said Levy. “I would say that in the last 18 years, this club has definitely gone forward and clearly, like any business, any club, you have your ups and downs. 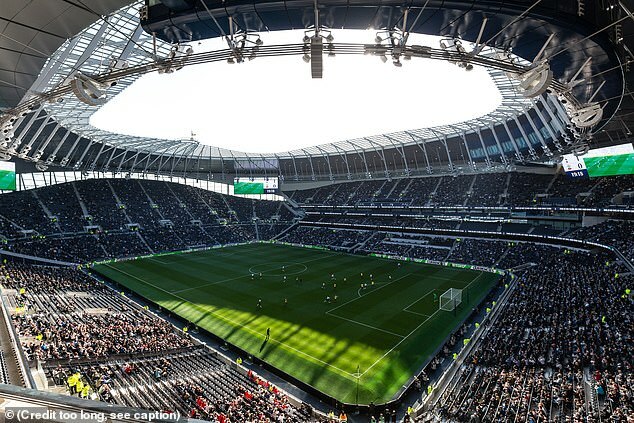 During the construction of Tottenham’s new home, Levy has had to balance the rising costs of delivering a new stadium with ensuring Spurs have a team strong enough to challenge at the top end of the table. Tottenham boss Mauricio Pochettino has successfully managed to keep Spurs challenging the top four despite having not spent any money in either of the last two transfer windows. Now the stadium is complete, Pochettino says everyone at the club must adjust their mentality to compete with the world’s best. “You must think like a big club to be close to the big clubs, the way that the big clubs think. “We need to think like a big club and that is the most important step that we need to make,” he said.